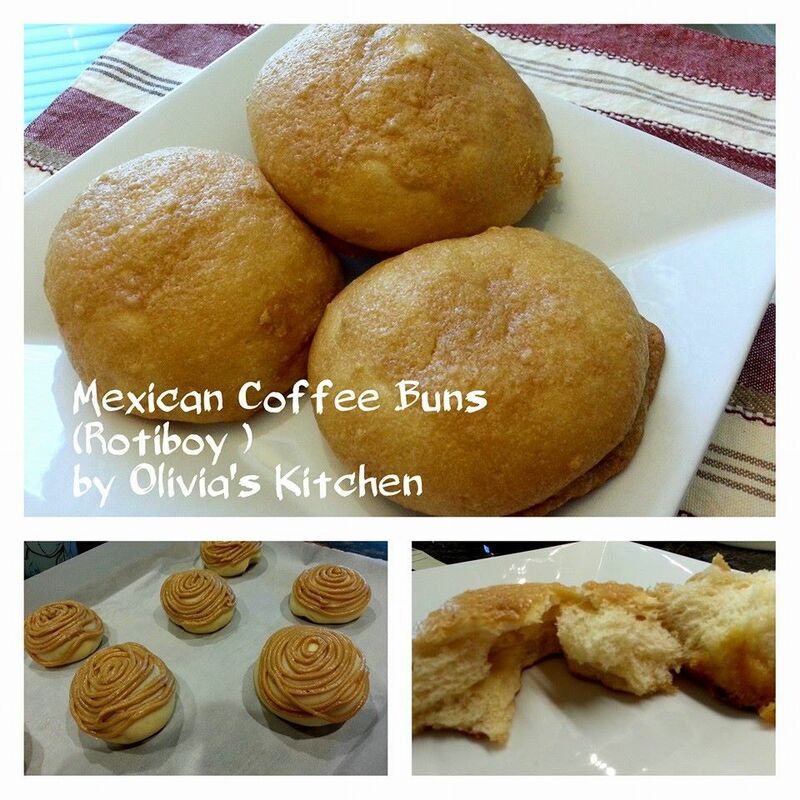 Last night i made Mexican Conchas , which is Mexican Sweet bread , then this morning on a conversation with my sister , she mentioned that Rotiboy is also a Mexican Sweet Buns . And it is very famous in Indonesia , as it turned out , it is very famous in Asia . Rotiboy is a Mexican Coffee buns , but it wasn’t from Mexico , instead it is originally from Malaysia . I don’t know the connection between 2 countries , but it is very much similar to Concha , which is Mexican Sweet Bread . This morning i ended up experimenting with this rotiboy . I made the same bread dough for the Mexican Conchas , but i made a different topping . The base is also the same sugar , butter and flour , except i added coffee extract and also eggs in the mixture . It becomes very creamy , just like icing . 1. Beat the butter , sugar and coffee mixture until smooth . 2. Add the egg , beat well . 3. Add the flour and powder milk until combine and smooth . 1. Prepare the bread dough as directed , once it’s done proofing for an hour , take the dough out , and divide the dough into 16 equal size . Then working on each ball , flatten slightly , add 1 tsp. salted butter or margarine . Then wrap it back up into ball shape , seam side down on parchment paper . And then proof 2nd time in about 45 minutes . 2. Once it’s done proofing 2nd time , place the icing in a piping bag , snip the end very small , and start piping the icing out in a circular motion covering every surface of the bread . 3. Bake at 350 F , for 15-16 minutes , rotate half way and switch racks half way .